I had touched on Learie Constantine’s life several times in previous work on politics. He occupied an important place in the life of Nelson, a Lancashire town that I had written about and which was a stronghold for the Labour Party from before the 1914-18 war until the 1960s. As the professional for the Nelson cricket club in the 1930s, and a resident in the town until 1949, Constantine became its hero figure. His exploits on the cricket field together with his courteous demeanour off it earned him great respect, not only among the townspeople of Nelson but throughout Lancashire. If it seems strange that a black man from a humble background in Trinidad, who had been brought up a Roman Catholic, should become a man of such distinction in an area without any significant immigration of black people and strongly marked by nonconformity, consider this: sport, cricket especially, was a major feature of the leisure activities of the small cotton towns of north east Lancashire, and the local professional was lionized throughout the area. Few, however, stayed as long at their clubs as Constantine at Nelson, and it was rare for any to become as settled in the community as he was. Nelson, he often said, was ‘home’. Moreover, for towns such as Nelson, with small-scale industry and no dominant entrepreneur exercising a paternalist influence over civic affairs, a successful sportsman suited the local hero pedestal as well as anyone. There have been various life histories of Constantine. The emphasis in each has been on his contribution to cricket. Understandably so, for the game was where Constantine first made his name and which explained much that Constantine achieved in his life. 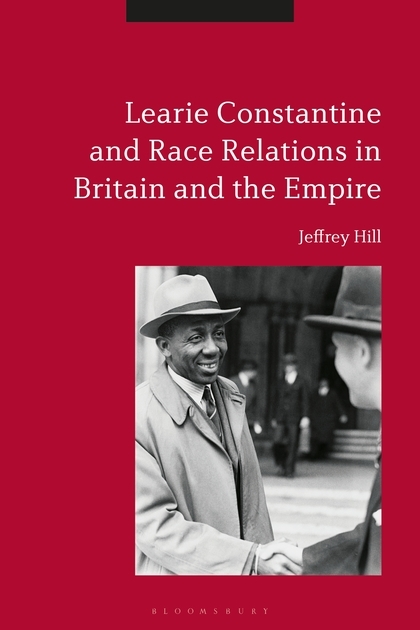 But rather than follow the same path I decided to concentrate my biography on an aspect of Constantine that has been somewhat overlooked, yet which connected directly with one of the most important social and political topics of the twentieth, and twenty-first, century: race prejudice and discrimination. They were problems that Constantine experienced personally throughout his life, and for which in his later years he actively sought remedies. There promised to be valuable records previously unused. Two in particular – material in the National Archives at Kew relating to Constantine’s employment during the war as a civil servant with the Ministry of Labour, working with volunteer technicians from the West Indies in various ordnance establishments around Liverpool; and the vast Constantine Collection of his personal papers at the National Library of Trinidad and Tobago in Port of Spain. Unlike many other sportsmen of his era Constantine’s post-sport career followed an upward curve. There was no decline into oblivion. He avoided, for example, the usual retirement route of the professional footballer – running a newsagent’s shop or a pub, or even staying in the sport in some capacity or another. And in contrast with black American sporting champions of this era, such as Joe Louis and Jesse Owens, Constantine experienced none of the humiliations that came with race prejudice – Louis as a ‘host’ in a Las Vegas casino, for example, or Owens the Olympic medal winner reduced to racing against horses. Constantine joined ‘the Establishment’: as the first post-Independence High Commissioner in London for Trinidad and Tobago; a member of the Race Relations Board; a place on the Sports Council; a Governor of the BBC; and in 1969 a life peerage – Baron Constantine. The social status that accompanied such a rise to respectability has inflected most previous accounts of Constantine’s career. What has emerged is a sense of the ‘good man’ whose personal qualities brought their rewards in later life. Few ever spoke ill of Constantine. But what we should also take into account, and what has been underplayed in appraisals of him, is the good fortune he experienced. I wanted to bring out the ways in which Constantine profited from the historical circumstances of the late 1930s and early 1940s, the time at which he was reaching that critical point in the life of professional sportspeople when age brings about retirement, and a change of direction is called for. Ironically, he was lucky to have closed his cricketing life at a time of impending war. Hostilities opened up new opportunities. There is no doubt that the 1939-45 conflict proved for Constantine to be a ‘good war’. Two things in particular assisted his passage into the realm of the great and the good. One was his work for the Ministry of Labour; the other his association with the BBC. Both stemmed from the need for wartime Britain to refresh its links with the colonies in an endeavour to strengthen support from the colonial world for the war effort. The move from ‘empire’ to ‘commonwealth’ was the overall strategy in which Constantine fitted perfectly the model of black colonial made good. His radio broadcasts to fellow West Indians encouraged them to support the mother country in the way Constantine himself was doing, with the prospect of a reformed set of relations between centre and periphery to follow. Not that Constantine was a super patriot. He did not hold back from criticizing the colonial system, reminding his listeners of its failings in educational, economic and health standards. Nonetheless, his loyalties were plain – he was a black Englishman. In the quarter century after the war Constantine attempted to speak for the increasing numbers of black people now moving to Britain. His book of 1954, Colour Bar, attempted to lay bare the facts of racial prejudice and discrimination on a worldwide basis. Aside from academic studies it was one of the first popular manifestos on race to appear. Its call for a greater understanding and tolerance from white people towards the new immigrants no doubt placed an over optimistic faith in the virtues of reason and neighbourliness – a legacy, perhaps, of his own experiences in Nelson. The notion of assimilation – that the immigrant might cohere around the values of the mother country – was beset by the white hostility encountered in the decade following the race conflicts of Nottingham and Notting Hill in 1958, and lost its purchase on both sides of the race divide as the years passed. Colour Bar is now largely forgotten but it had an impact in its early days, and Constantine strived to keep the issue of race relations before the public right up to his death in 1971. Memories of him are fast waning, but with race still as prominent a social problem as it ever was we should perhaps remind ourselves of what Constantine achieved, and even of what he failed in. We cannot register great success for his work on race, but few since him could claim to have achieved much more. About the Author: Jeffrey Hill is an emeritus professor of historical and cultural studies at De Montfort University. He has written on various aspects of nineteenth and twentieth century popular culture, with a special emphasis in recent years on the study of sport and its ideological influences.